Treat your skin and senses to Molton Brown Jasmine & Sun Rose Bath & Shower Gel; a delicately scented body wash inspired by an Egyptian landscape in late summer's blushing dusk. The luxurious formula gently cleanses and rejuvenates, whilst releasing a fresh, floral fragrance that combines notes of Raspberry and Peach with Rose, Jasmine and Labdanum accords. Housed in the brand's signature bottle with a metallic cap. Top Notes: Bergamot, Raspberry, Peach. Heart Notes: Jasmine, Rose, Osmanthus. Base Notes: Labdanum, Patchouli, Musk. 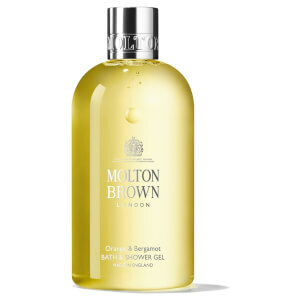 Another hit from molton brown, I use this will the Jasmine and Sun Rose body spray too and the smell lasts all day! This body wash smells so good, especially coming out of summer when you want a more warming and comforting scent! Plus, it leaves the skin so soft. 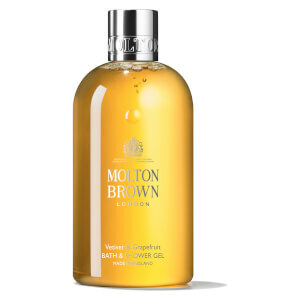 This shower gel is my favourite from Molton Brown so far. 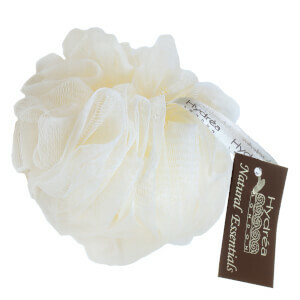 The smell is just gorgeous but not too strong, and it is very nice to use in the shower. Skin feels cleansed, soft and fresh! This is definitely my favourite scent out of the Molton Brown collection! Smells so fresh and leaves your skin feeling super soft. The hint of raspberry and peach is such a lovely touch. This body wash is my new favourite and essential for my beauty regime. I just love the smell and my skin feels so refreshed and soft after using this. Its so gentle and does not feel harsh on my skin. The packaging looks great in my bathroom too. Autumn in a shower gel! I layer this with the Jasmine & Sun Rose fragrance for the perfect autumnal scent! Not too overpowering for first thing in the morning but enough to wake you up in the morning. Love this shower gel!